Lots of bridges need maintenance. We can't fix them all at once. We're already collecting useful data during bridge inspections, but it's hard to interpret in raw form. So this professor was inspired to take advantage of the fact that we're in 2015. 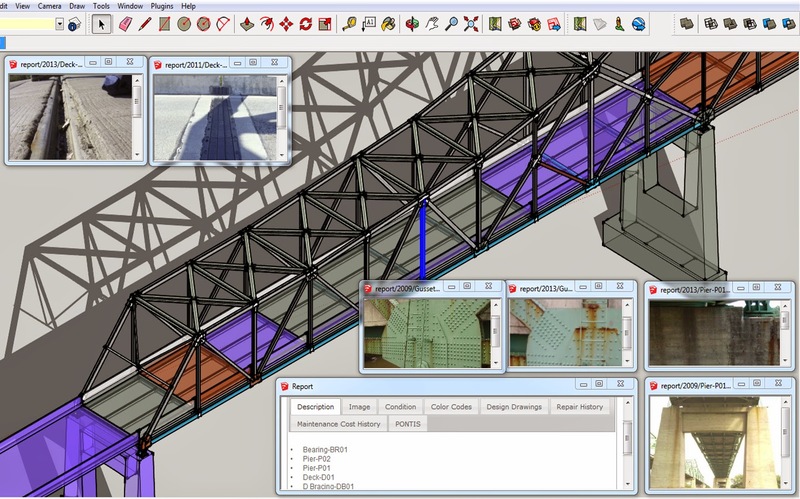 He created a rich document (he used SketchUp) to bring together inspection data, photos, and a simplified 3D model of a bridge. It's immediately obvious how helpful this would be for the vital work of prioritizing infrastructure repair. Simple but effective. We have to see it to understand it.